I know on the left side bar you can see what I've been up to on Instagram. From left to right. Grilled lamb chops and potato bake I made for lunch before heading to work for my late night shift! Having a 'girly makeup' day and putting my pout to the test with M.A.C's Lickable lippy. Throwback Thursday! An oldie of me when I was young-in'. Yay! My first ever Benefit makeup purchase!!! L to R. My fave chocolate makers, Whittakers, took on the Kiwi fizzy drink L&P and fused it with white choc and popping candy, ummm delish!!! A pretty spider web I caught while on my way to work. Beautiful blue pearl and sterling silver ring from Pandora. 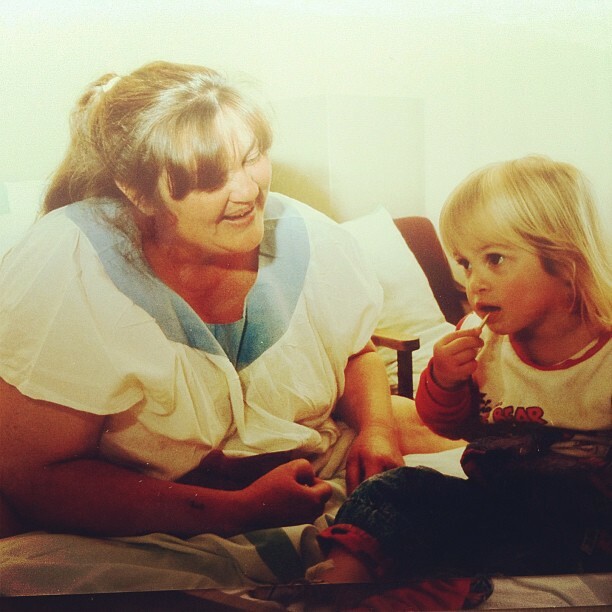 Another throwback of me and my amazing mother! 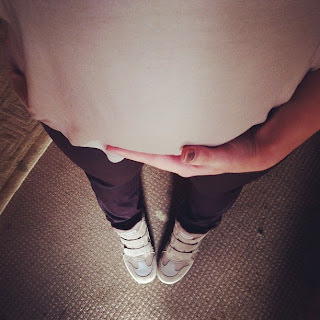 Burgundy skinny jeans and plain white T both from Country Road and my 'pregnancy approved' Sketchers High Top wedge sneakers plus my cute round 20week baby belly! Lunch time! 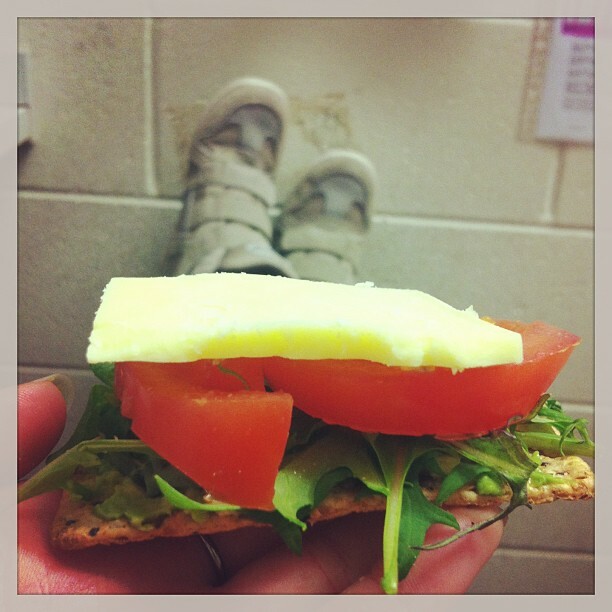 Pregnant cravings include Tomato's (duh! 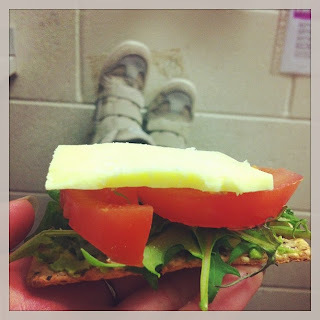 ), avocado, salad, cheese on crackers YUMMO! I'm so so excited that in 5 days we get to know what I'm carrying! A lot of our friends and family think that were carrying a boy, and I was pretty adamant on that too but now anything's possible!